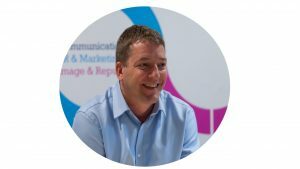 The CGM Business Media Club is five in 2018 and to mark our anniversary we’ve been talking to members about how the club has helped to improve their marketing and communications skills. Be part of our celebrations at CGM Media Centre on Friday, September 28 by booking via Eventbrite. Dave Morris is the Business Media Club’s longest lasting member having attended his first meeting in April 2015. After four years in business, Dave’s biggest challenge was learning how to fine tune his approach to marketing. Dave set about creating a brand for Zentano, not just a logo or image but with a strong emphasis on thought leadership. “The first meeting I attended was about blogging. I’d never really blogged before so it seemed fascinating and a bit different to most other types of marketing. Dave stayed with the club and month by month (and later year by year) and has developed his marketing skills and contributed to the club in many other ways. In 2018, he presented the main theme of a meeting for the first time. At a meeting in 2016 Dave spoke about his grandfather, who was a huge influence on him as a child and how that has impacted on the way he works with clients to support them.